Helping our clients keep more of what they earn! 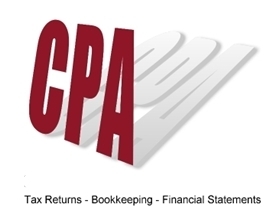 One of our core services is catering to the needs of our individual tax clients. The recently enacted “American Recovery and Reinvestment Act of 2009”, contains a wide ranging tax package that includes tax relief for low and moderate wage earners, families and individuals with college expenses, and home and car purchases. We work with our business clients to ensure they receive any and all benefits from recent changes and additions to the tax code. Whether your company is a C corporation, S corporation, LLC, Partnership or Sole Proprietor, we will work closely with you to minimize your tax liability. Tax planning or forecasting for the individual or small business is an important part of securing your financial future. Working closely with our clients this planning and preplanning can have a direct effect in minimizing your tax liability as well as adding to your bottom line. From payroll taxes to sales tax, property tax, audits, IRS examinations and more. Our Firm stays abreast of tax law changes throughout the year to ensure compliance.